Two times GATE qualified. And very good command in Physics, Chemistry and Mathematics and also Computer Science. And National Chess player, I can train my students about chess. 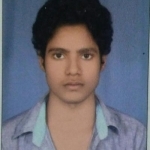 Did you find Abhinav Gupta via LearnPick?